The weather is getting a little warmer now and it’s almost time to get out to the beach! 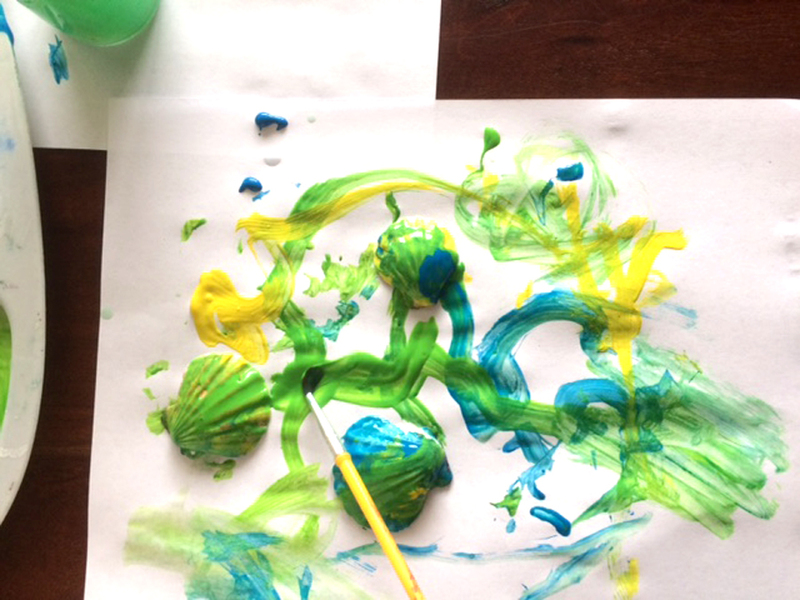 Welcoming Spring, the girls and I decided painting seashells would be our project this past week. It turned out really fun, the kids both tailored the project to their own age. This is another open-ended project that kids can really make their own to explore their own creativity. 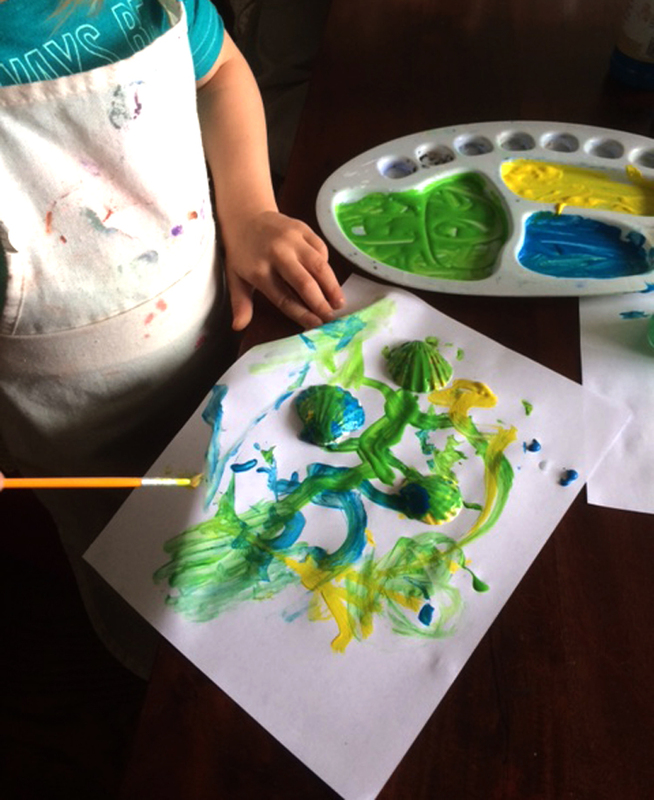 Preschoolers may try just a few solid colors on their shells or mix their colors. 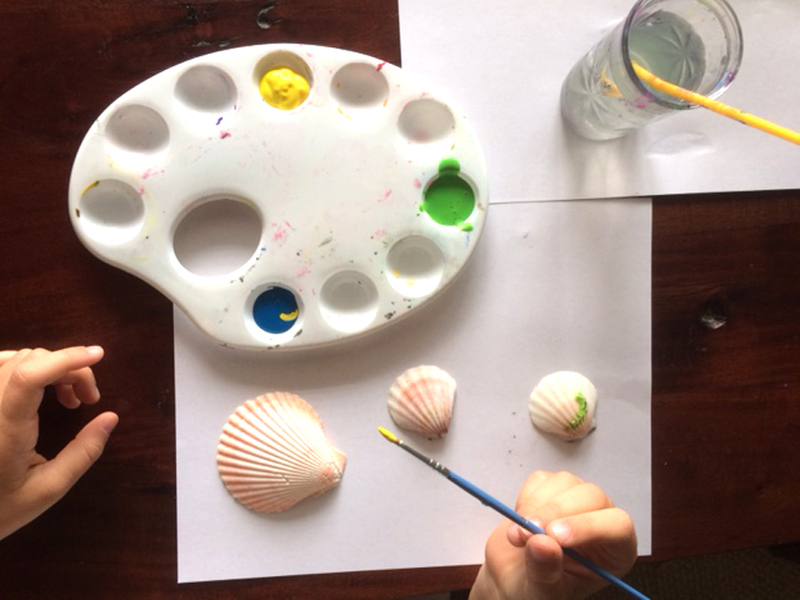 The more advanced or older child might choose to create patterns like stripes, dots or paint along the natural grooves of the seashells. I had my kids use tempra paint for this project because it dries quickly, making it easy to layer and its pretty washable. 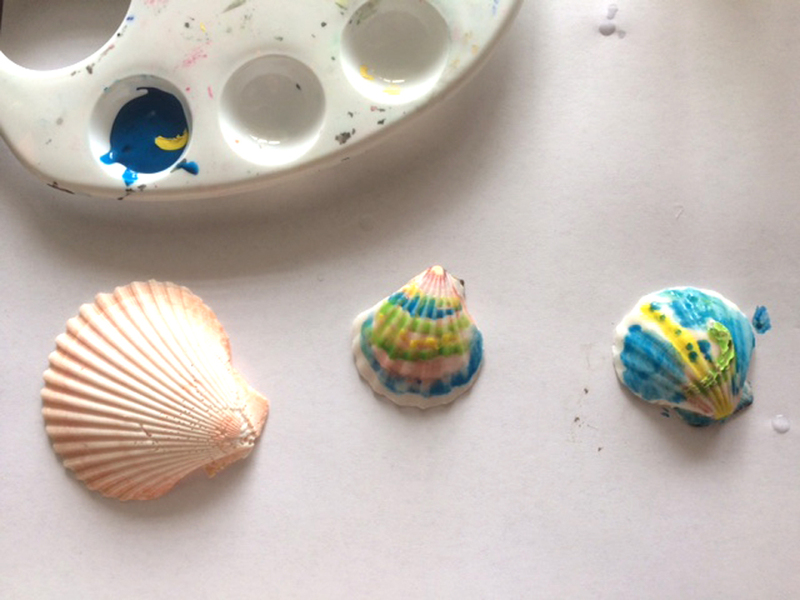 The paint has a little bit of a transparent quality to it as well which can help children find patterns through the seashell while painting. 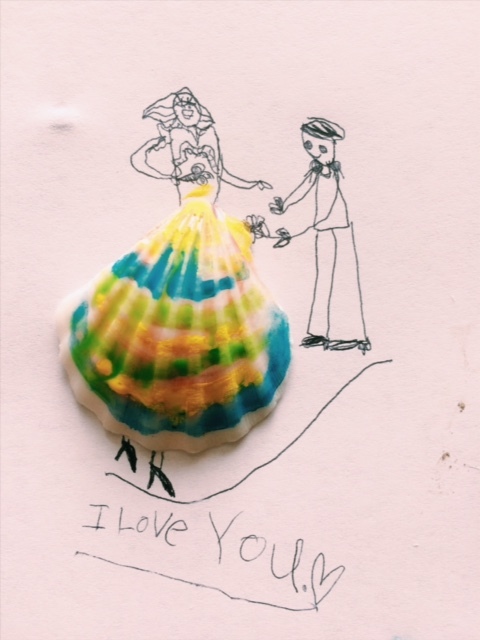 After painting seashells, my older daughter decided to take her shells and make them into a little expressionistic drawing of a couple. She used the seashell as a ballroom gown, she did such a great job! 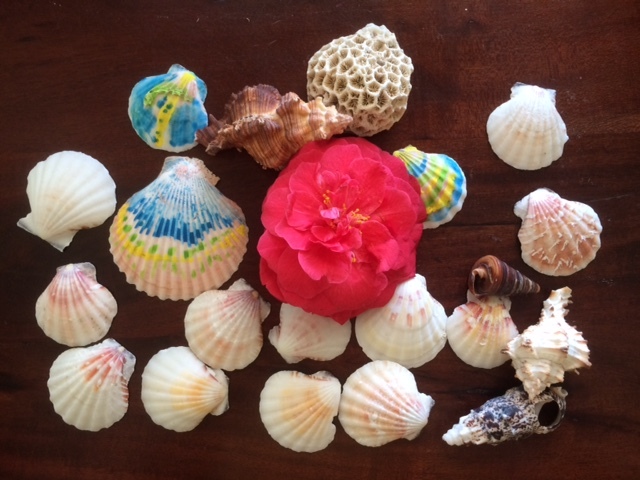 My younger daughter has had fun with her dried shells using them for imaginative play. It is fun to see what our kids do with these projects to make them their own. 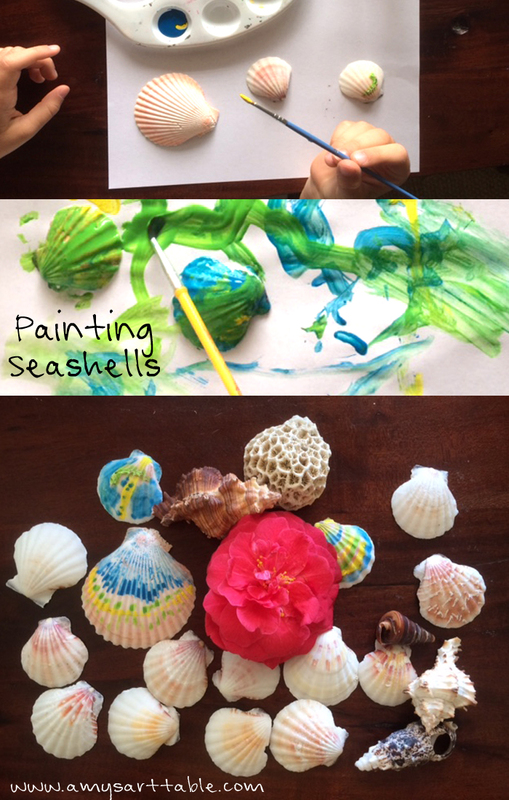 Maybe your kids will enjoy painting seashells this weekend too!